Today our office is closed in observation of the Veterans Day holiday. We are reflecting on the service, sacrifices, and impact that veterans have had on our community and especially Downtown. Although no longer an active Homefront town, the legacy and impact of the WWII era is still deeply felt and visible in Richmond and its historic Main Street. 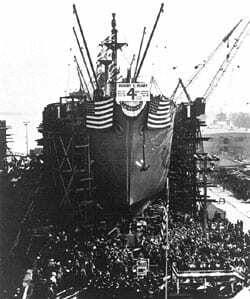 The development of historic Downtown Richmond–Macdonald Avenue from 6th-16th Street–was a direct result of the Kaiser shipyards and the population boom that they brought. We recognize and honor that era, and we turn to our young Richmond residents to help envision and actualize the next great era for our Downtown. 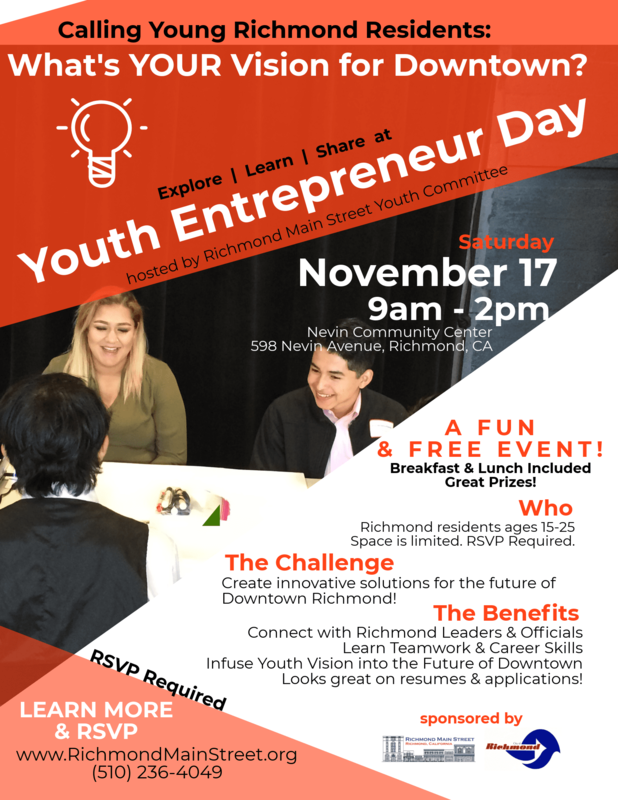 This upcoming Saturday, November 17 we will host our second Youth Entrepreneur Day event, where young Richmond residents will rise to the challenge of envisioning a Downtown neighborhood that reflects their needs, desires, and dreams. We can’t wait to see what they come up! Most importantly, we look forward to this opportunity to share the history, legacy, and potential of Downtown with these young folks while fostering important leadership, teamwork, and critical thinking skills that they can use in so many ‘real world’ applications. On a related note: There are still a few spaces left! If you are a Richmond resident aged 15-25 or know someone who is, please check out this event, share, and REGISTER NOW!